This Real Estate Q&A will appear in the Thanksgiving issue of The Sheet, due on the streets Wednesday. But since I’m leaving town for the holiday I thought I better get it posted. The Ski Area is working hard to get more runs open, but the skiing has been very fun and there is more moisture on the way. Q: So Paul, does everybody, including us, think they can pick the bottom of the real estate market in Mammoth? We think that with all of the information now available on the Internet, including your blog, we will be able to do that. But c’mon, what’s your best take on when the bottom will be and can we time it perfectly? “we’re there-we’re there, or…we’re close, aren’t we?” state of mind. Or they’re convinced that the start of regular air service (Dec. 18) will be the bottom. Meanwhile, bottom feeding buyers are trying to predict the specific quarter, like “2nd quarter 2010, 2013” or based on some other event such as, ”when Starwood sells to Vail” or “when Main St. is redeveloped” or…(well, I’ll save that for later). At least the bottom feeders aren’t talking about earthquakes, volcanoes and hantavirus. The only thing I know for sure is that we’re heading towards the bottom. I know, genius of me to have that figured out. Everybody wants to predict the bottom of every market. But cycles are never perfectly predictable. This picking the bottom stuff (at least here in Mammoth) is more psychological than financial. In fact, I’ve had people get upset with me because I would not proclaim “the bottom” or predict its soon arrival. Read any good financial book and you’ll discover that you’re lucky if you bat .500 at anything. Your odds of getting perfect skiing are about the same, but that doesn’t stop most people, especially not fanatics. The one thing most people don’t realize about “bottoms” (or tops for that matter) is that you don’t know you were there until months, or years, after they occurred. No algorithm or statistical modeling will help, especially in Mammoth where emotion and “life’s clock” are such huge drivers in the market. True bottoms can only be seen in the rear view mirror. And losing your youthfulness, or squandering the opportunity for precious years with your children and grandchildren, while waiting for some “bottom” no longer makes any sense for most. My regular readers will know there are far more important concepts to consider than nailing the absolute bottom. First, they know I watch the foreclosure market intensely because that will prove to be the best barometer of the market for a multitude of reasons (previously discussed ad nauseam). But secondly, they know that hitting the bottom isn’t as important as purchasing a quality property, and this type of market provides the buyer the patience to do that. Back in the goldilocks market I would gasp when sales would come through the MLS and people were buying dog-meat properties for high prices. The 80’s and 90’s taught us there were locations that simply didn’t resell when the market got soft. When the market got hot there wasn’t much discretion. Non-discerning agents and their buyers had little insight, and after all, real estate only goes up. In today’s market buyers should simply get screaming deals or great properties. Preferably both, but buying an outstanding property is far more important in the long run. The third thing my readers know I watch closely is the inventory. The total inventory is really so small that it is relatively easy to watch. (I have found that many potential buyers know the inventory better than many local agents.) Right now there is a growing number of wait and hold sellers/owners. Personal knowledge and the files on my desk show this. The inventory also reflects it. Many listings expire and don’t reappear. Mammoth really has an unknown supply of sellers. Most of these people aren’t necessarily delusional, they just fall into the “don’t have to sell” category, and most likely there is great emotion tied to the property. (Adult children who rarely come to Mammoth seem to have a strong influence over their parents when it comes to selling “the Mammoth cabin”.) Others are just waiting for the “adjusted basis”. And many that didn’t sell in the past year are now happy they didn’t because they likely would have put those proceeds into mutual funds. So much for batting .500. On the other side of the pendulum swing, some of the current listings and “short sales” are going to end up as foreclosures. And some heading to foreclosure aren’t listed, they aren’t even going to try to sell. (And pay attention, banks are getting hungry for cash.) But overall the inventory is remaining stable, there are no staggering or alarming numbers. A good percentage of that inventory would probably sell if the prices were cut by another 10-30%. The other thing about real estate bottoms is that they aren’t “V” shaped bottoms, they are “U” shaped bottoms. And with all the wonderful economic news out there today, I would expect the U to be rather wide. That is unless some black swans come to the party. But what that really means to me is that this bottom period that we are in, or are about to enter, or is somewhere in our future, will be a period for buyers to make quality purchases in the local marketplace. And please don’t come looking for “cash flow”. One thing I’m also observing, and should remain so, is that not all segments of the Mammoth market will bottom at the same time. For instance, the values in the condo hotel segment of the market have declined substantially off of the peak(s) (the rear view mirror is a little fuzzy). I’m seeing numbers (recent sales) off as high, or greater, than 50%. There are buyers at these discounted prices, but I think there will be some additional minor declines in value, especially in the less than best locations. It all depends on how strong the winter rental income is and how many more foreclosures we will see in the next 12 months––and there are some in the pipeline. On the other hand the single-family home market between $700K and $1M remains stubborn. If the sellers cut their prices by 50% off the peak in this segment the inventory would vanish in a few days. Foreclosures aren’t impacting this segment of the market. Decent homes in the $500K range sell quickly. We may see the bottom of that segment in the next 12 months. But would could be close now. Not all segments are created equal. Buying an excellent piece of real estate to share with family and friends should be more satisfying to the ego than being able to brag about buying at the bottom for dirt-cheap. Based on the emails and calls I receive, more and more people are beginning to think this way and are spending the time to educate themselves. There are still plenty of people that want to own in Mammoth, maybe more than real sellers. These buyers still have cash and good credit, and there are simple reasons why they do. Now if they can just get that perfect property and time the pricing bottom too. Just don’t ask me how to do that. As for the bottoms of our skis, I’m still amazed at how the crews on the Mountain can make such good skiing with such little snow. Enjoy! And Happy Thanksgiving! Long-time Mammoth visitor/MVP holder here. Thanks for such an enjoyable and useful blog, I am always eager to read your latest post. I was wondering what your comment about don’t come looking for cash flow referred to, does that mean prices won’t ever be close to a level where rental revenues might cover mortgage/taxes/maintenance? Have you heard anything anecdotal about early winter condo bookings, I had heard they were very light for the holidays (as of about a month ago), I wonder if that has changed. Thanks again for great information, I know it’s probably not very lucrative for you, but people do read it and appreciate it. Way to early in this down cycle to even talk about a bottom. "Cash Flow" refers to investors looking for properties that truly produce a cash-on-cash monthly return on investment. Values in some metropolitan areas have dropped to the point that the rental demand creates an acceptable investment for certain investors. A regular monthly return on investment, something that could be expressed in the form of a capitalization rate, really doesn't exist in Mammoth. The values are too high. Buyers and owners can still receive cash flow from their properties via renting them out––whether nightly or longer term––but a true "positive" cash flow isn't going to happen for a modern buyer. My personal rule of thumb is that condo owners in Mammoth can usually recoup their common area fees and property taxes with a good unit and a decent rental schedule. Some do a little better, some a little worse. If anybody says they can do much better then ask them to produce their P&L. As for the holidays, town is already loading up for Thanksgiving, but it really isn't one of the biggies–lots of second homeowners, etc. Christmas/New Years will be snow dependent but is always busy regardless of snow. Visitors and renters are looking for bottoms just like buyers. Thanks again for your time in posting. My wife and I were up this weekend looking at neighborhoods with the map you provided a few weeks ago. Its very helpful. We too agree that picking the right property is more valuable that timing the bottom. That being said, most pricing in mammoth is still unrealistic. In near-employment housing in LA we are rapidly approaching the 30-40% off peak value level; with sales at that price point! One would surmise that vacation property should be another 10 to 20% below that (unless decent rental net income is present) Maybe it’s that slim inventory that keeps sellers digging in. I am surprised that the lenders haven’t added more realism to the market in mammoth. 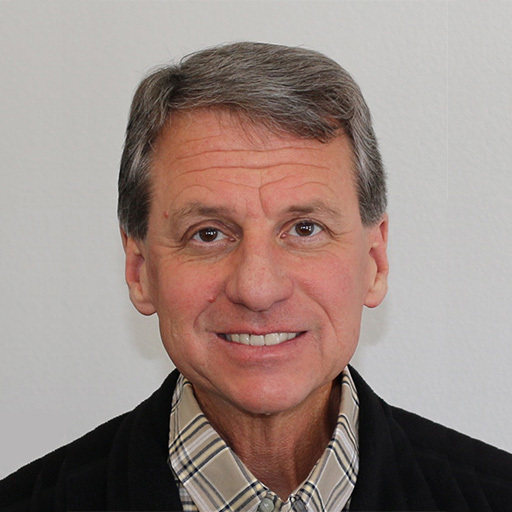 Your honest and experienced opinion sets you apart from other agents. You may not get the listings, but you will certainly get the buyers. I would rather get the 3pts than the 1 to 1.5 pts any day. Good luck and we’ll check in this winter. By the way, do you have rental listings? correction to my last post: I meant you may not get the unrealistic listings. If someone really wants to sell, they will recognize you have a following of buyers with credit, and dry powder (not a snow reference). Check out this Luxurious inner city contemporary CALGARY townhome project with modern sophisticated interiors. There are two 2 bedroom units with 2588 sq. ft. on three levels, one 3 bedroom unit with over 3300 sq. ft. on 4 levels and one 3 bedroom unit with over 2800 sq. ft. on 4 levels. Designed and built by the Baboushkin Design Group this unique development offers attention to quality & details. This is the best of inner city living. I think that your blogs are great and truly honest, unfortunately it is rare to find a ethical agent in Mammoth, with so few properties that are priced to sell and a few decent REO’s the feeding frenzy is on. 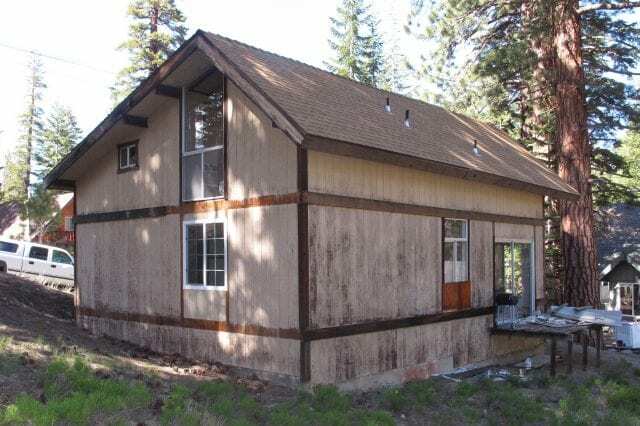 I have been looking hard for a property in Mammoth since Sept and I have found that if a property is priced right then magically the listing agent finds the buyer also and anyone else that is interested has not a chance in hell to compete. The brokers should have some responsibility in this too seeing that the agents work for/under them. Sellers should beware! Many times they could get more for their properties if their agents were upfront with them about the interest in their property. I have been willing on two offers that I have made to go higher but I can only assume that the agent incouraged the seller to accept the offer from their agent buyer. It should be illegal for the agent to get both ends of the deal. They end up representing only themselves. Word gets out about these agents and I hope that it affects their listings. 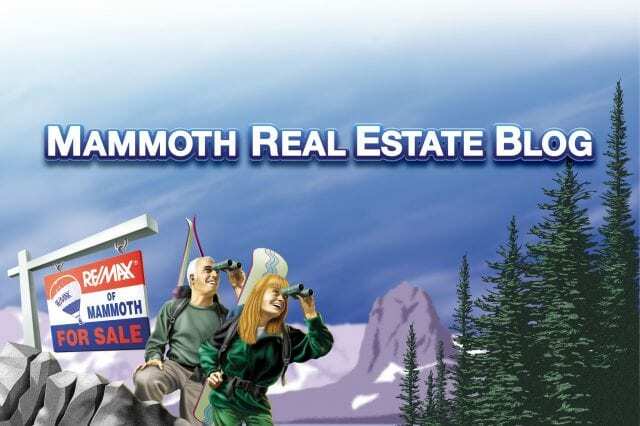 I am ready to look elsewhere, Mammoth has too many issues in the realestate market. Why is everyone looking for a bottom so soon? I know people are desperate, but let’s be real. Mammoth is still grossly overpriced. It went up with the national real estate bubble, and is now going down with the bursting of that bubble. Air service, the sale of the Village, nor the coming of the Messiah will save Mammoth’s real estate. A bottom is not going to happen until the economy starts to get better, which ain’t happening anytime soon. Ask this question in another year or two. Also, I will not buy real estate to brag that I got it dirt cheap. I will buy because it makes good financial sense. Until then, I am quite happy renting. Forget real estate prices, how is the ski resort going to survive the winter without cash flow? Maybe a govt bailout? We are far from the bottom kids! Don’t think it just low paying jobs lost. Try all the big-hitter loan officers, Title Reps, Escrow Officers, Real Estate Agents..how many of those have bought in Mammoth over the last 5 years?. Can you give us a percentage of your clients Paul? My guess..a bunch. Oh man, I can work while I am in Mammoth. Internet, phone and blackberry. I will continue to roll in the dough, make my 200k per year. I am really good at what I do (nothing), and you know, making 150k or 200k, its easy. I have so much equity in my house, I loaded up on some property in Mammoth and I bought a killer place in La Quinta. Real Estate might go down, but it will go back up again…..
Now back to reality…Bear Stearns goes byebye (founded in the 30’s), Leahman goes bye bye, Countrywide, Wachovia, WaMu, now don’t forget FANNIE MAE, FREDDIE MAC…bye bye. Do you think that you can say things go in cycles with this type of nuclear fall-out. Now, Ford, GM, Chrysler…THIS IS UNPRECEDENTED. There is nothing in history that has nor will compare to what is unfolding. America has sold out. 70% of America money has has been consumer generated. Peolple making money on people taking debt…thats all. The consumer has negative savings. The country has negative GDP. We make nothing…nothing…nothing. First the Dot.com, then real estate. You better grab your nuts and hope to god American finds alternative fuel with real feasiblity. Cause if it doesn’t, please, please tell me what will save this country…and of course…what will save the most desirable, and necessary real estate in the country…MAMMMOTH. Don’t these folks know that they bought homes in So. Cal. I would guess almost anyone buying in mammoth has at least, I repeat, at least 1/2 million (500k) in debt. Many in Orange County have million or more in debt. Real Estate in Mammoth has at least another 35%. They think its too late to sell. They hang on, thinking its gonna turn. When the get out of denile and figure they have to carry that debt for at least another 15 years till it gets back to where they bought, they will then…WALK AWAY. Thats the bottom folks. When there is no more denial about the magnitude of this crisis. Too many layers in this onion Grumpy! HEY… Did anyone feel those earthquakes in Mammoth??? Your timing was…Do you know something?? Today, Intrawest’s Playground reopened a “sales gallery” of open house units in the Westin Monache. Apparently any deal to sell off the bulk of the developer’s unsold units failed and it sounds to me like the bank wants some of the remaining debt paid off or serviced. The “new” pricing is about 20% less than the original pricing. They released 12 new units for sale. 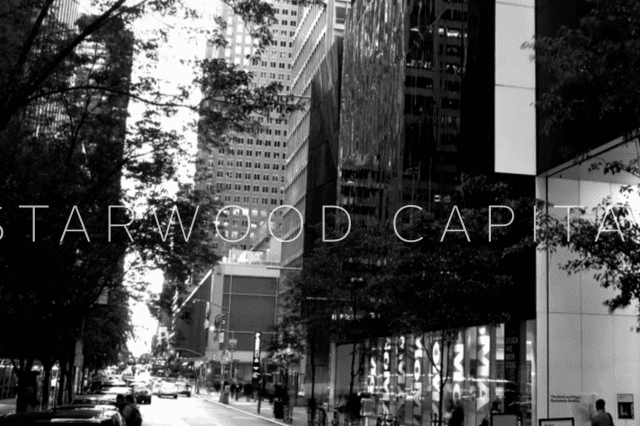 Your Studio condos are now in the $300K range. Meanwhile, Village REOs are now selling at more than 50% off of the peak. I don’t think Wilbur is missing anything. I’ve been out of the office for the last three weeks (not Rehab, fishing). But now I’m committed to Mammoth for the next six months (bummer), the new snow looks great and the town is primed and nearly booked for the holidays. And the rumors I heard today at the post office that I’m not posting anymore are untrue. 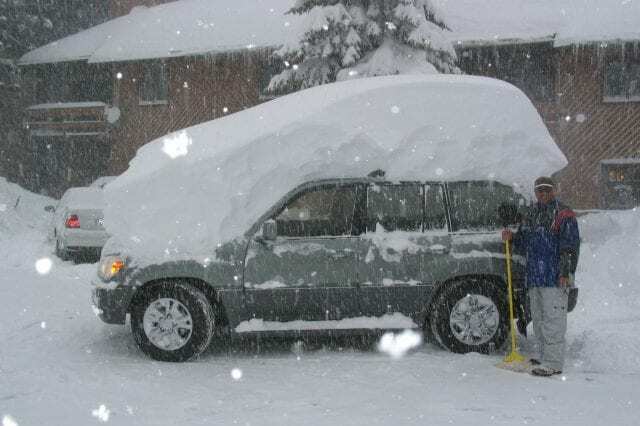 It will be a busy winter. The Grand Sierra Lodge two-bedroom condo would seem to me to be a good indication that the bottom is no where close yet. Going south of $400K for that unit is a pretty good indication of where all these other condo’s on the market should be priced at. Welcome to 2009, the year the real estate market dropped out from beneath Mammoth Lakes, and led to the demise of an otherwise pleasant village of mountain folks. Thanks Paul, and other agents, brokers, developers, and self-interested business people, for leading us to the brink. The question is; how much longer will we listen to your incessant drivel?